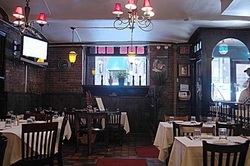 From Manhattan go to: Manhattan has many, many restaurants and people from all over come there so you don't have to go anywhere, but Brooklyn, Queens and Teaneck are pretty close to Manhattan. Come to Manhattan from: anywhere in NYC. 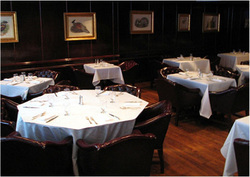 Upscale kosher steakhouse showcasing dry-aged beef, veal & sushi in an elegant, multi-floor setting. 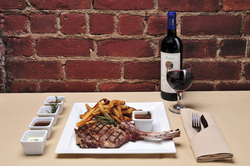 Reserve Cut is an upscale restaurant with beautiful decor and great service. It is also very expensive. Wolf and Lamb is a casual/formal restaurant. 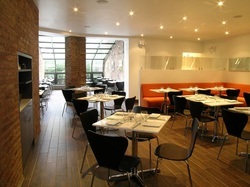 What I mean by that is that the atmosphere is very casual and laid back but the food and service are more formal. All in all it has excellent service, a nice, friendly atmosphere, and very good food. The prices are a little high but not too high considering that it is in Manhattan. Mr. Broadway is centrally located on Broadway. It is a busy restaurant with good service and good food. The setting of the restaurant is more casual and sometimes it can get noisy. There is a nice party room which may be quieter but can also fill up at times. 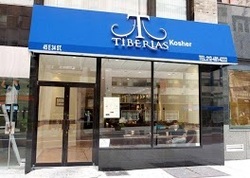 A very new, nice restaurant on the Upper East Side. It can get full easily, so reservations are definitely recommended, though not required.